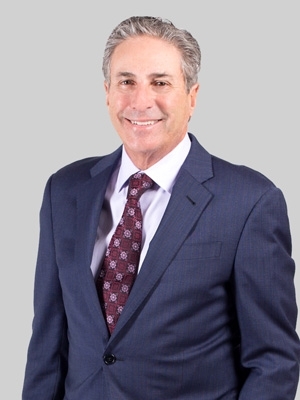 Board certified in taxation by the Florida Bar Board of Certification, Michael has more than 35 years of experience in representing high-net-worth individuals, creating and managing family charitable foundations and designing and fulfilling wealth strategies to meet his clients' goals. By providing thoughtful strategies to protect their assets and limit their tax liability, Michael guides his clients through vital issues of personal, family and business planning. He recognizes that the decisions he advises on can have an enormous impact for his clients and their heirs. He therefore strives to chart a road map that leads his clients to their goals — whether it’s planning for business succession, charitable giving or maximizing wealth. Michael also represents public charities and advises small business owners, professionals and entrepreneurs on a wide range of real estate, corporate, commercial and partnership matters. Prior to joining Fox, Michael was a principal in Rothenberg Hyett Eisen & Lang P.A., which had offices in Atlantic City, NJ, and Boca Raton, FL. Michael is a frequent guest speaker on estate planning and taxation topics and is involved in a variety of pro bono and community work. He served as a member of the board of trustees and past president of the Noyes Museum of Art of Stockton University and the Mr. & Mrs. Fred Winslow Noyes foundation, a supporting arm of the Noyes Museum of Art. He currently serves on the advisory committee of the Noyes Museum of Art. He also serves as a member of the board of the American Jewish Committee, Palm Beach County Chapter. Additionally, he sits on the boards of the Seashore Gardens Living Center in Galloway Township and the Stockton University Foundation.